Ezinne Lady Dorothy Tunde-Adeleye(JP) President MU/WG/GG/AS/RG/GB. The Calabar Diocesan Women Fellowship is a major arm of the Diocese that handles ministry to the women and girls. It is made up of: Mother’s union, Women’s guild, Girl’s guild, Royal Girls, Girls Brigade and Anna Sisters. Brief on each of the above-mentioned arms of the women organization. 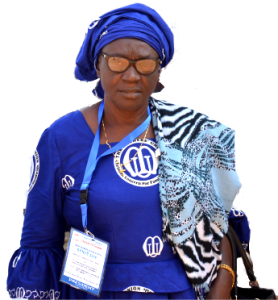 ​The Mother’s Union: The Mother’s union is a worldwide Christian organization which promotes the wellbeing of families. It is especially concerned with all that strengthens and preserves marriage and Christian family life. And its aim is the advancement of the Christian faith in the sphere of marriage and family life. In Nigeria, it is open only to women whose marriages have been solemnized in the church. Women’s Guild: The women’s Guild (WG) was founded with a much more open membership. It is open to all women; wedded in the church, married according to traditional law and custom, married in court, widowed, single mothers, ladies of the knights, wives of traditional rulers. It serves as the umbrella group of the women. To read some verses of the Holy Scriptures and pray every day. To learn a verse from the Bible every week. To uphold the sanctity of marriage, and the upbringing of our children and servants in the right way, and to teach them to pray every morning and every night. To avoid being debtors or live corrupt lives, and to avoid drinking intoxicating wines or speaking filthy words. To attend Church services, Bible study and Guild meetings regularly. To endeavour to win people to Christ. To visit all sick people and those who are bereaved. Girl’s Guild: The Girl’s Guild (GG) is an arm of the Diocesan Women’s ministry to the girls of about 11 – 17 years of age. It is a catch them young programme of the women aimed at training the younger girls in the way they should go (Proverbs 22:6), that is, the way of the LORD – in righteousness, unto adulthood: marriage and motherhood. Moreover, the aim of the GG is to help the members to develop Christian attitude and character that would make them useful to God, themselves, their homes, the church and to society at large. To achieve the above, lessons drawn from the Holy Scriptures and contemporary issues are taught them in their gatherings. Anna Sisters: These are a set of women whose husbands have died, made up of old and young widows. In the Anna Sisters’ fellowship, the peculiarity of their life situation is taken into consideration in ministering to them. Therefore as part of their programmes, lots of teachings from the Bible are done aimed at strengthening their hearts to cope with the challenges of widowhood. Also included are: welfare for the needy members as well as sponsorship/empowerment to assist those who need to be engaged in some trade. 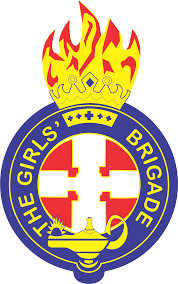 Girls Brigade: The Aim of The Girls’ Brigade is to help girls become followers of the Lord Jesus Christ and through self-control, reverence and a sense of responsibility to find true enrichment of life. STRATEGIES FOR ACHIEVING THE AIMS OF THESE DIFFERENT ARMS OF THE DIOCESAN WOMEN ORGANIZATION. We the women and girls of this Diocese sincerely hope that our efforts so far are acceptable to God and that He will empower us to launch out unto higher heights in our service of HIM and mankind.